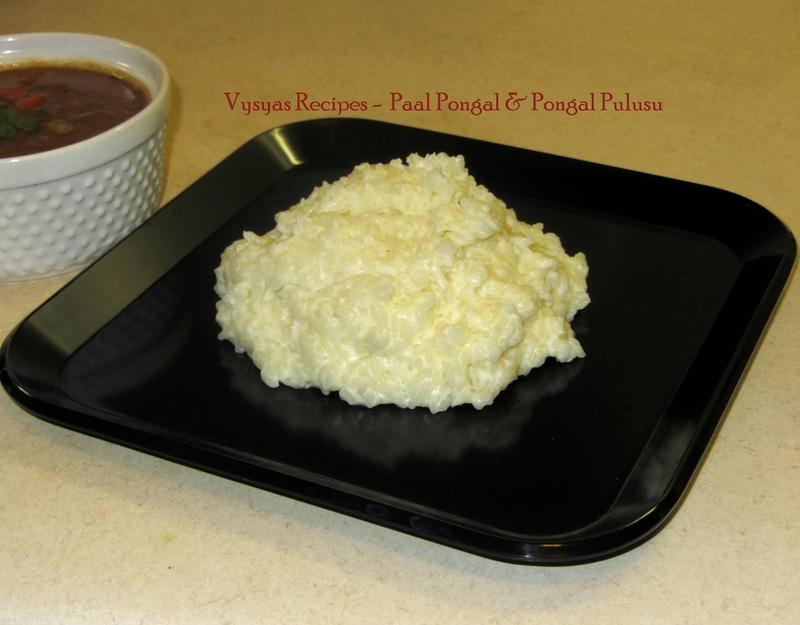 Paal Pongal is an authentic recipe made during Sankaranthi or pongal festival. 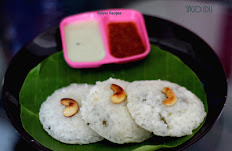 This pongal is made with Rice and Milk. 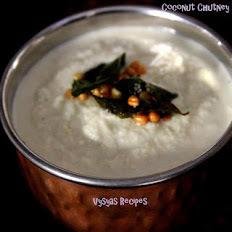 Freshly harvested rice with milk gives creamy texture to Pongal and it, goes very well with Pongal Pulusu(Pongal kuzhambu). 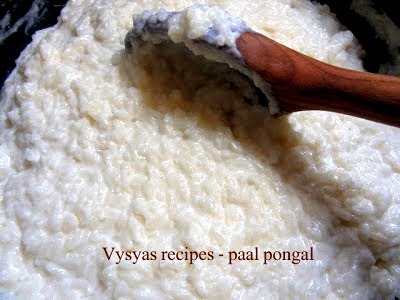 We will be very eager to eat Paal Pongal When Pongal is Nearing. Sankaranthi or Pongal never ends without Paal Pongal. Evaporated Milk - 1 cup. Wash and Soak the rice for 30 minutes, like you soak the rice normally,then drain it and keep it aside. 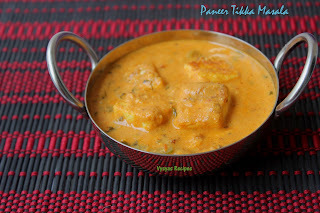 Take a heavy bottomed vessel, add 6 cups of milk, when it got boiled, keep the stove in moderate flame, then drain the rice, and add to boiling Milk. 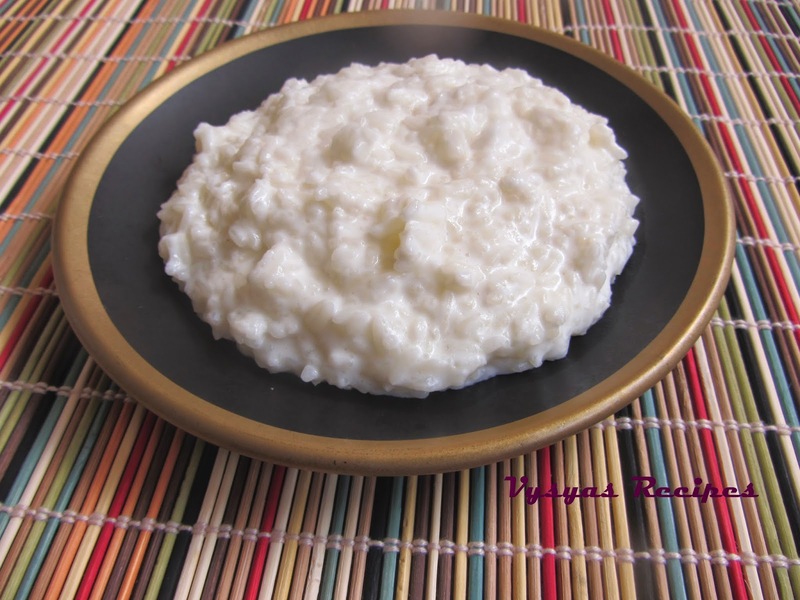 Stir regularly, when 3/4 of rice is cooked,and Milk is almost absorbed by rice,add 1 more cup of evaporated milk, keep on stirring, till it is completely cooked. Then mash the rice and add salt. 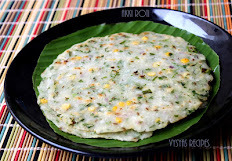 It goes very well with Pongal Pulusu. 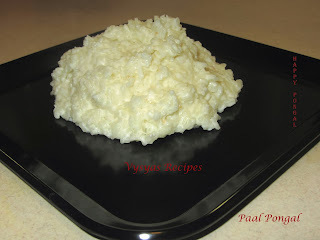 Note that 7 cup of milk is enough to cook 1 cup of rice, at times, if rice is not cooked well, you can add some hot water. 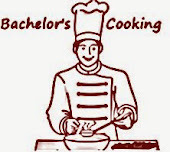 Always add salt at last,else rice won't cook.